When the first fall storms move through, rivers come to life, fish move and weather conditions change faster than you can refresh your forecast app. 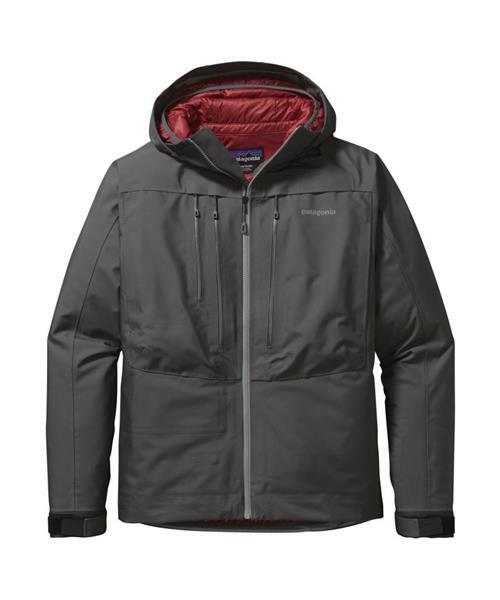 The keys to comfort are versatility and layering; fortunately, Patagonia's 3-in-1 River Salt Jacket provides both. The outer shell is made from a rugged H2No® Performance Standard 4-layer polyester microfiber with a waterproof/breathable barrier and a DWR (durable water repellent) finish—the same fabric they use in their toughest waders. Three TPU-coated, water-repellent front-zip pockets hold fly boxes, while the corrosion-resistant YKK® Vislon® Aquaguard® main zipper holds back the weather. The vented, fully adjustable hood stays in place even at high boat speeds; adjustable watertight cuffs keep wrists and arms dry. Inside, a light, warm and durable Nano Puff® Hoody (100% recycled polyester ripstop shell, insulated with 60-g PrimaLoft® Gold Insulation Eco that uses 55% postconsumer-recycled polyester) keeps you warm to the top of your noggin and snaps out to be worn alone when the skies clear. Put it all together and you have a fly fishing jacket that helps you keep up with weather conditions—no matter how fast they change.